The first phase for the renovation of a 4.7cm Festungpak casemate in Gujan-Mestras (bording the Bassin d’Arcachon in the south west of France) has started. 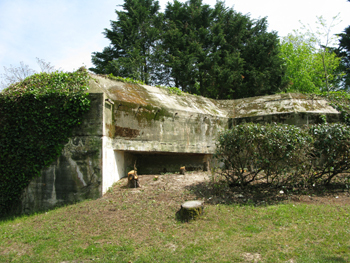 The Groupe de Recherches Archéologiques sur le Mur de l’Atlantique Secteur Arcachon (GRAMASA), a local group of bunker enthusiastics, will first clear the outside of the bunker and make it visible. Then the entrance will be secures and all pipes and drains cleaned. In co-operation with the Office du Tourism there will be guided walks along the canal and the bunker. Works should be done before the summer season.